18 Floors is a VR experience combining room escape gameplay with puzzle elements. Players are transported to a mystic and foreboding space, where they must complete interconnected puzzle to escape each sealed room. The game is comprised of multiple rooms, with the Phantom Room and Sea Express stages With her home planet destroyed 1000 years ago, Andrea, Queen of Naoh Star has been living hidden amongst humans, struggling to keep her race from eradication. When she learns of humanity’s plan of genocide for her people, Queen Andrea decides to strike back at humanity by altering history itself. Players will follow Andrea as she travels to the secret time-bending black hole “18 Floors,” discovering her true identity and uncovering a galactic conspiracy. 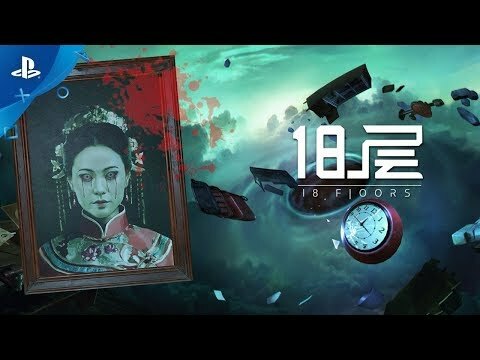 18 Floors was released on PS4 293d ago in the UK.